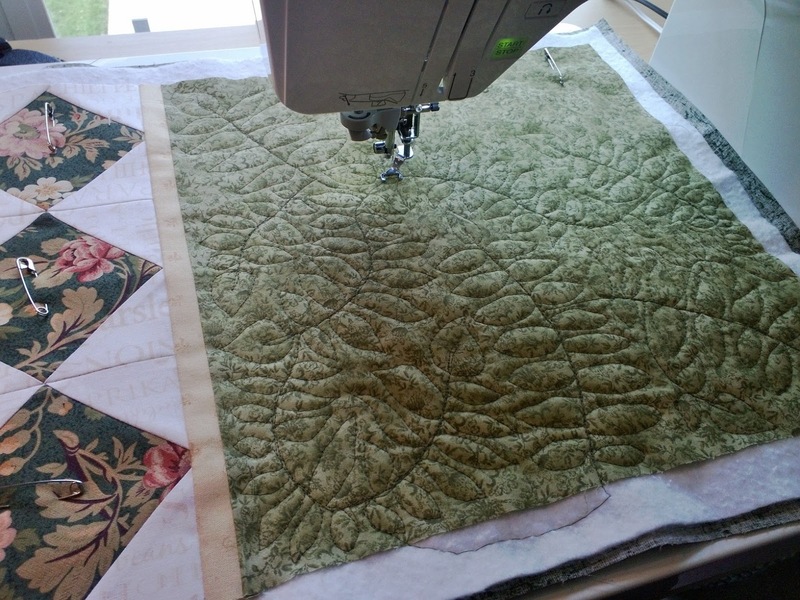 A few weeks ago I attended an all day free motion quilting workshop. I'd already taken the leap into FMQing on my last 2 quilt projects. On Puppy Patchwork I did some stippling, spirals, and stars; on Spinning Stars I did mostly stippling (you can see both of those here). 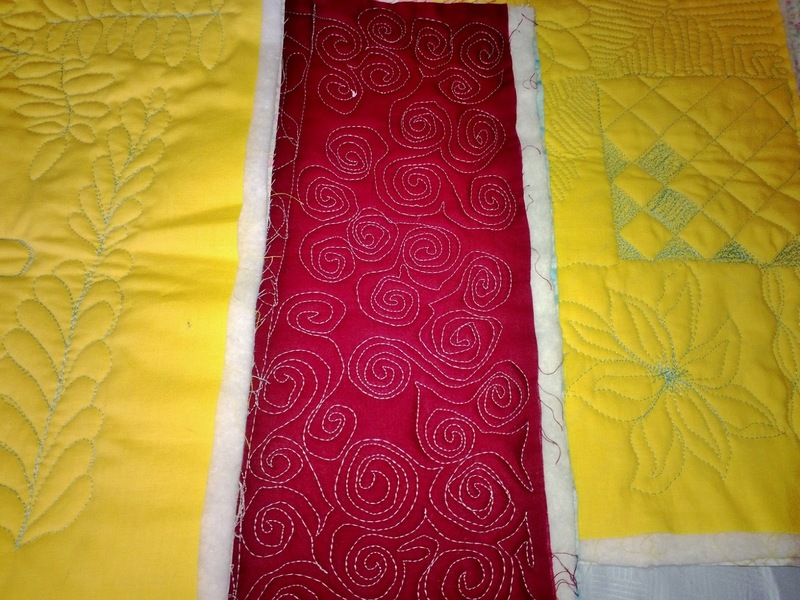 The biggest win about taking the workshop is that it gave me time - time to practice my quilting uninterrupted for 6 hours, time to gain more confidence in my abilities, time to spend with other adults who enjoy quilting. It was invaluable. Here are a few of the practice pieces that were done in class. I really need to work on feathers, as you can see on the left yellow panel. 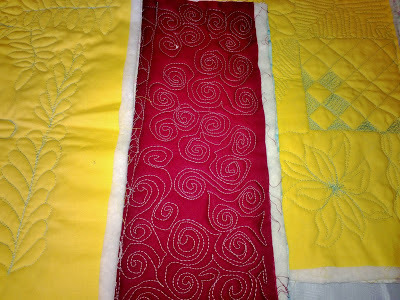 I really enjoy making spirals (the red panel) and I was rather proud of my very first poinsettia flower on the right yellow panel.